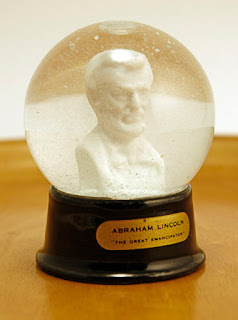 Abraham Lincoln "The Great Emancipator" - A beautiful historical snowdome made by Atlas Crystal Works. This U.S. snow globe manufacturer made some amazing souvenir snow globes. I wish I could travel back to the 1940s and buy them all.